Yangjiang Helping Industrial Co., Ltd.
Hebei Shuanghua Trading Co., Ltd.
Ningbo Yinzhou Joywave Housewares Co., Ltd.
4. Tea infuser, tea filter and hot tea tool promotional gift. Our products are mainly exported to North American and European markets. We are looking forward to working with more customers worldwide in the coming years. Shenzhen Weiyixi Rubber Mould Co., Ltd.
Yangjiang Shengjiu Industrial & Trade Co., Ltd. 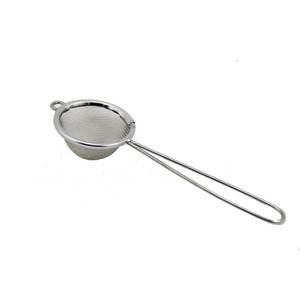 Item Name tea accessories wholesale strainer tea infuser with handle Item No. Our company owns great importance on practice and innovation with young and energetic talents. W e are confident that we shall be able to give you our best products and service. Beijing PFM Screen Trading Co., Ltd.
Shenzhen Dongli Silicone Products Co., Ltd.
Dongguan Fulian Mould Co., Ltd.
Zhaoqing Gaoyao Ying Ya Silicone Technology Co., Ltd. Item Name HS-TI120 Novelty teapot shaped stainless steel tea infuser in 119th Canton Fair Material S/S 18/8,18/0 Customized According to client&rsquo;s requirements such as new tooling, pattern, material, color, logo, packaging and so on MOQ 2 000 pcs S ample L eadtime 3-5 days Delivery Time 2 5 - 40 days Payment Term T / T, L/C, D/P Packag ing Normal packaging (polybag+inner box+carton), individual packaging (c olor box , PVC box , b lister card , hang tag, tie card, display box) OEM/ODM Are welcome Year Established 2000 Workshop Around 2,500 Number of Workers 150 workers Production Capacity 300,000pcs per month Design/R & D 3 person Sales Department 8 person Quality Control 10 person Main Production Machin e Punching Machine, Grinding Machine, Drilling Machine, Cutting Machine, Polishing Machine, etc. Main P roducts Kitchen gadget & kitchen utensil Factory Audit BSCI , Sedex , ISO Certificate FDA, LFGB Our C lients Target, ASDA, Argos, Home base, ALDI, Walmart, Avon, etc Designers We cooperate with a design company which is the Top 5 in China with 30 professional designers Detailed Images Related Products More About Us . Ningbo Shangbei International Trade Co., Ltd.
Anping Yuansheng Mesh Co., Ltd.
Shenzhen Jasmine Import&Export Co., Ltd.
Yangjiang Jiangcheng Lechi Commodity Co., Ltd.
Huangshi Fusun Trade Co., Ltd.
Zhaoqing Ying Feng Craft Gift Co., Ltd.
Shenzhen Meiruide Technology Co., Ltd.
Yangjiang Jiarun Industry And Trade Co., Ltd.
Anping County Bolin Metal Wire Mesh Co., Ltd.
Yangjiang Zonwin Hardware Manufacturing Co., Ltd.
Huizhou Meka Technology Co., Ltd.
Guangdong Wintime Industrial Co., Ltd.
Fuyang Bestop Import And Export Ltd.
Nanpi Biaoya Hardware Co., Ltd.
Yangjiang Yangdong Jiasheng Industry And Trade Co., Ltd.
Alibaba.com offers 50,271 tea infuser products. About 31% of these are water bottles, 23% are coffee & tea tools, and 18% are coffee & tea sets. 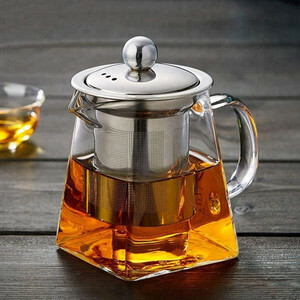 A wide variety of tea infuser options are available to you, such as metal, silicone, and glass. You can also choose from fda, sgs, and ce / eu. As well as from eco-friendly, stocked. 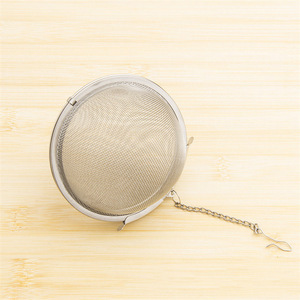 And whether tea infuser is stainless steel, cast iron, or carbon steel. There are 50,153 tea infuser suppliers, mainly located in Asia. The top supplying countries are China (Mainland), India, and Taiwan, which supply 98%, 1%, and 1% of tea infuser respectively. 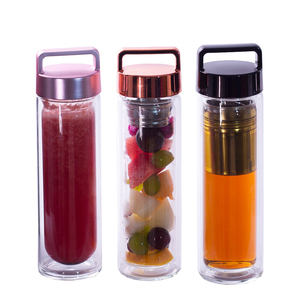 Tea infuser products are most popular in North America, Western Europe, and South America. You can ensure product safety by selecting from certified suppliers, including 5,934 with ISO9001, 2,693 with Other, and 1,169 with BSCI certification.